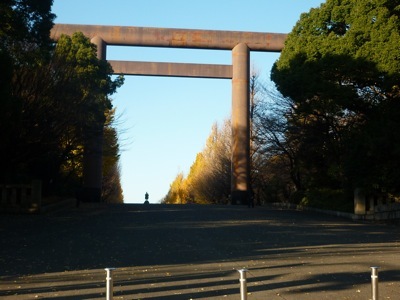 Yasukuni Jinja (靖國神社) or Yasukuni Shrine was not part of the tour itinerary. Since the hotel we stayed in is not far from the shinto shrine, we made a quick visit to the Japanese shrine after an early breakfast. An old couple whom we met on the tour and made friends with followed us there. It was a ten-minute walk. On the way we saw Tokyo University of Science. The 1869-built shrine is devoted to war heroes, soldiers and people who had sacrificed for the Emperor of Japan during the war. The compound of this shrine is huge although the main hall is not. 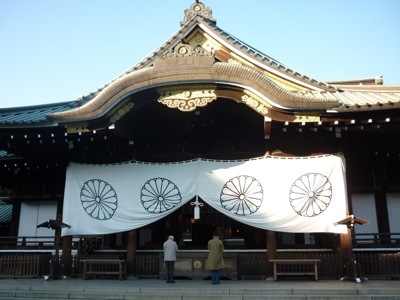 Another thing to note about this shrine is it creates controversy among Japan’s neighbors every time top government officials make visit during World War II memorials on August 15. 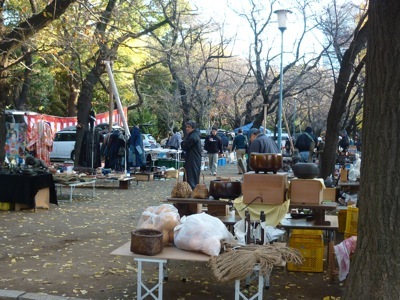 On the way to the shrine, you will find people selling antiques on the road side. I understand this is available on Sunday morning. We didn’t stay there long as we had to go back to the hotel to continue the last day of our tour.